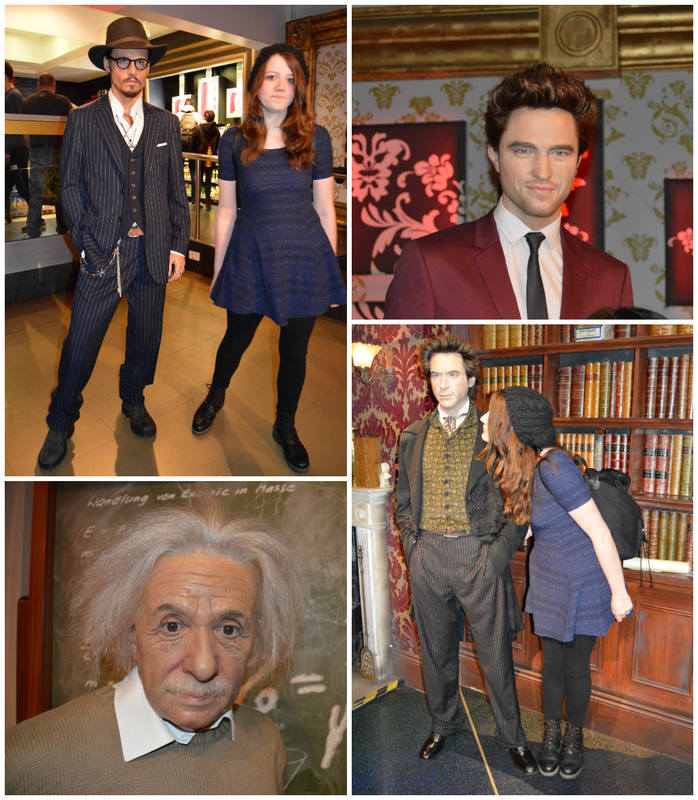 One of the few thing my dad just WANTED to see was Madame Tussauds. He have never been in one. I have been in the London one twice now and the Berlin one once and the London one is the big winner. They have much more figures and known faces. There was soooo many people in there this time which did make it less fun, but i hope my dad wasn't disappointed. Anyways, because i have been there before i didn't take so many pictures this time. I have seen it before and there was also hundreds of people in front of me taking pictures with the figures. I waited for them to go away so i could snap a quick photo and get out of the way so i could breath again. I only noticed a few new since 2011 which were Taylor Lautner and One Direction. I was a little angry that they removed Johnny Depp as Jack Sparrow to make room for them, but Johnny Depp as himself was still there!